Vail, Colorado – January 6, 2019 – As the new year begins and the ski season in Vail, CO is in full swing, the question of transportation from the airports to the resort town remains. Several options are available for Denver to Vail transportation, including taxis, Uber, and public shuttles; but private Denver to Vail Car Service is the best choice for anyone looking for a comfortable, quick, and stress-free trip to reach the slopes. By car, the ride to Vail takes anywhere from two to three hours from Denver Airport (DEN) and 40 minutes to over an hour from Eagle County Regional Airport (EGE), depending on the type of transportation service passengers choose. From DEN, shuttles operate on an hourly basis and reach the resort in about three hours; they are pricey ($100 per person on average one-way) and lack the privacy, comfort, and schedule flexibility of private transportation. Shuttles also impose inconvenient delays due to dropping off or picking up other passengers on the way. In addition to waiting time, delays, and lack of comfort, shuttles can get cramped, which makes the trip uncomfortable. These tiresome characteristics of shuttle transportation from the airports to Vail are most unwelcome at the start of skiers’ vacations, especially when these tribulations so closely follow tedious flights. Taxis and Uber offer some advantages such as the liberty of scheduling, the privacy of private transportation, a shorter trip, and an advantageous per person rate compared to airport shuttles if there are minimum two passengers in the car. However, they lack in comfort as they are not designed to cater to ski equipment or operate on ski resort roads. Delays and disagreeable drives could ensue from hiring inadequate vehicles. Booking a taxi or an Uber on arrival at the airport does not guarantee immediate availability, timely transportation, or an efficient and knowledgeable driver, and can therefore present some complications and stress after a tiring airplane journey. The last – and best – option for travelers on their way to Vail is to book an individualized car service. As a private mode of transportation from Denver International Airport to Vail, hiring a Denver to Vail limo provides all the equipment necessary for ski resort-specific transportation. Ski specialized services include all required equipment, such as winter tires, ski boxes, and spacious all-wheel drive vehicles – as well as expert personnel trained on mountain roads. Individual requests are honored and trips customized so as to offer the most appropriate assistance to each skier’s needs and schedule. 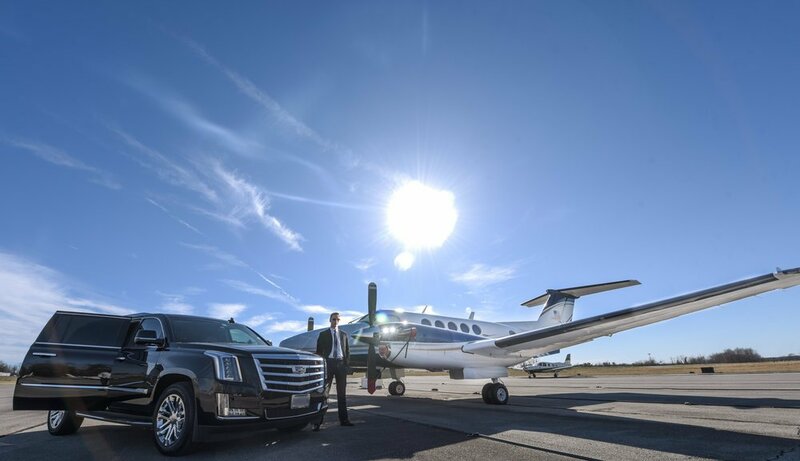 Booked ahead of arrival in either Denver or Eagle airport, a private car service offers peace of mind and allows the weary traveler to relax while enjoying a comfortable, short, smooth, stress-free, and personalized trip.